After Tiffany Ford McLemore's car was destroyed in an accident, the single mother of four needed a new one. Quickly. Yet she didn't want to take out another auto loan and so she researched her options. That's when she stumbled on flexdrive, which calls itself Netflix for cars, and is one of several new companies offering vehicles through a subscription. "I love the flexibility," Ford McLemore said. She now drives her children to sports and band practice in a 2018 Volkswagen Jetta. 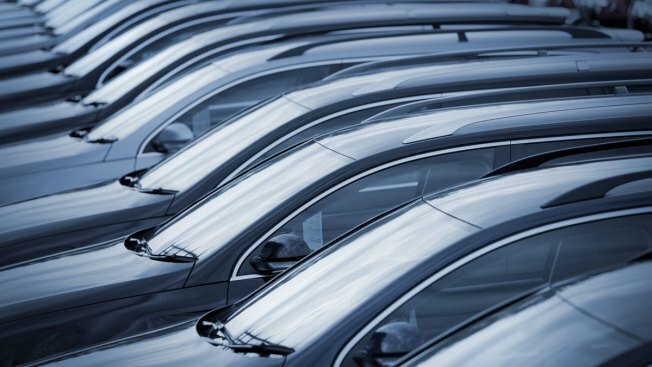 Automakers, dealers and start-ups now offer car subscriptions as an alternative to the traditional financing model, which increasingly involves going into significant debt. The services typically charge a flat monthly fee that bundles together all the disparate expenses of car ownership, including insurance and maintenance. Used cars could rise in value if Trump puts tariffs on new car imports, says CEO of used-car auctioneer Kar from CNBC. "There's a reason consumers are gravitating toward these services — what's out there right now isn't very good," said Gary Hallgren, president of Arity, a technology start-up founded by Allstate. The average monthly car loan payment is $533 for new cars and $397 for used vehicles, according to Edmunds, which provides information on the auto industry. The typical person takes nearly six years to pay off their car loan — and nearly a third of them trade in their vehicle before they've paid it off and pick up another loan. Flexdrive, based in Atlanta, has more than 9,000 users, and between 600 and 800 new subscribers sign up each month, Puente said. Its vehicles are now available in 17 U.S. cities and the company plans to be national by next year. The company allows you to order a car on its app within minutes without any contract or credit check. You will need a clean driving record (parking tickets are OK), three years' experience on the road and a credit or debit card in your name. You pick up the vehicle at a nearby dealership that flexdrive partners with. Going on vacation? You can return your car and pause your payments until you return. The average monthly flexdrive subscription is around $800, but you can have a Toyota Yaris for around $400, or a Porsche Cayenne for more than $1,500. In most cases, you have to pay a refundable deposit on the car. That monthly fee includes a warranty, standard roadside assistance, maintenance and insurance. "Everything is included," Puente said. If you get into an accident that's deemed your fault, however, you will typically have a $1,000 deductible. Drivers are responsible for gas. Subscribers receive an alert when their vehicle is due for maintenance. They can stop by a nearby service shop that partners with flexdrive and the company covers the tab as part of their subscription. Members are also given the option to simply trade in their car for another one at a dealership. Flexdrive doesn't purchase the cars, but rather partners with dealerships and pays them for use of the vehicles each month. People are overwhelmed by modern life and its seemingly infinite choices, said Philip Reed, an automotive writer at personal finance website NerdWallet. "If someone says, 'Here's your car. It's $350, and that pays for everything,' it's appealing," he said. Fair, another car subscription service headquartered in Santa Monica, California, has some 20,000 subscribers and adds another 500 each week, according to the company. "We want to eradicate auto debt," said Edward Brojerdi, chief consumer officer at Fair. "We don't think you should take out a loan for a depreciating asset." After you scan your driver's license on the Fair app, an algorithm factors in your credit, income and other variables to generate a list of vehicles available to you. The average Fair subscriber pays around $350 a month. A Hyundai Accent GS is just $150 a month, and the priciest option is a McLaren 650S at $4,095 a month. That fee covers a limited warranty, routine maintenance and roadside assistance. Users will have to pick up insurance elsewhere, or opt-in to Fair's insurance — if they qualify, it's $115 a month on average. Fair also charges a "start payment" which is typically around three times your monthly payment. People can return a car anytime, with five days notice. Shannon Franklin, a real estate developer in Nashville, Tennessee, began her subscription through Fair about a month ago. "You can download an app, fill out a few things and, ta-da, you have a car," Franklin said. She likes the fact that she's not stuck with one vehicle. "If I didn't like the car, I didn't have to keep it for three years," she said. Canvas, a car subscription service owned by Ford, has rates starting at $379 a month. Borrow offers electric cars via subscription with monthly rates as low as $399 month. In addition to the car subscription start-ups, BMW, Porsche, Volvo and Mercedes all offer the option now, too. Care by Volvo, for example, provides users with a car for around $650 a month, including insurance, maintenance and delivery. The manufacturer's typical subscriber is around a decade younger than its usual buyer, said Peter Wexler, director of mobility solutions at Volvo. "The millennial generation grew up in a world of subscriptions, and they don't feel it's odd at all to consume an automobile in the same fashion," he said. If convenience is a priority to you, a car subscription may make sense, said Gillis, at the Consumer Federation of America. Carefully compare the different costs of buying, leasing and subscribing to a car, said Reed, the automotive writer at NerdWallet. "People think of their car expenses as their car payment, but that's a really dangerous way of looking at things," he said. Nerdwallet has a total monthly car costs calculator that factors in gas, maintenance, insurance and registration costs, too. A subscription can be a great option for those who only need a car for a limited period of time, said Arun Kumar, a director in the automotive practice at AlixPartners, a global consulting firm. That's because subscribers can often get around the sizable down payments required to lease a car. The average lease down payment in 2018 is $2,642, according to Edmunds. The typical monthly payment for a 36-month lease is around $450. And of course, some people buy their car in full. Scour the terms and conditions of the car subscription service you're considering, as they vary widely. For example, Borrow's monthly fee doesn't include insurance. Others require a time commitment; some of the cars are pre-owned, others new. Don't forget to factor in your own habits. Anything is better than rolling the balance of an unpaid loan into a new loan for another car, Reed said. In those cases, you can wind up owing more for the car than it's worth. "So if you felt you might be tempted to make bad car financing decisions, a subscription service would protect you from that," he said. In the long run, Reed said, owning a car will often be the most affordable option. Once you've emerged from your debt, you could have years without a car payment. The average age of vehicles on the road has consistently been around 12 years. You can also pass a used car onto your children or sell it one day. The average amount a person gets when they trade in their vehicle is $4,679, according to Edmunds. Reed pointed to his own car: a 1997 alpine white BMW. His monthly car expense? $75, for insurance. "It's luminous and beautiful," he said.